Lightweight cordless version of a heavy duty American barber's classic. 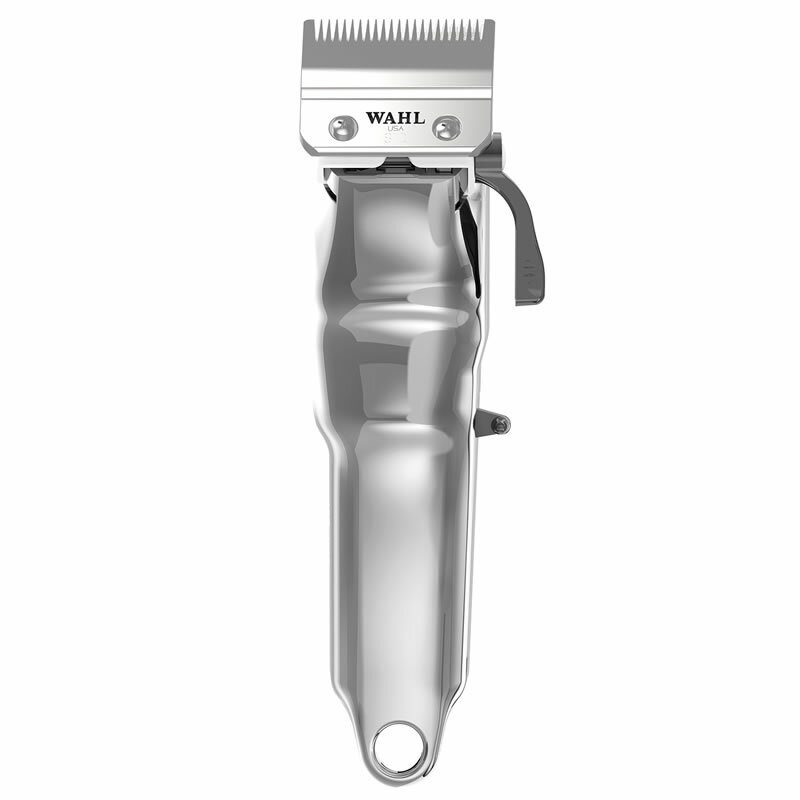 Wahl's Senior clipper is their oldest model and, until now, was exclusive to the USA. Now though they're bringing it to the UK and Europe and it's not just the standard model either, we're getting the super-premium 5-Star version and in its new cordless format too. 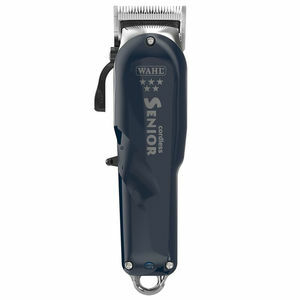 American barbers have always loved the Senior for its powerful motor and the Cordless Senior has all that power too, generating a high blade speed with increased torque that'll clip even the thickest hair with ease. It's powered by a lithium ion battery that'll give up to 70 minutes run time and takes just 70 mins to charge up too. Don't worry if you run out of charge mid-clip though as you can just plug your Cordless Senior into its lead and keep on cutting. All that power drives a thin profile blade with a flat bottom for closer cutting and precision fades. It can be adjusted to zero overlap via the thumb taper lever, giving you outstanding clipping options and instantly adjustable flexibility. 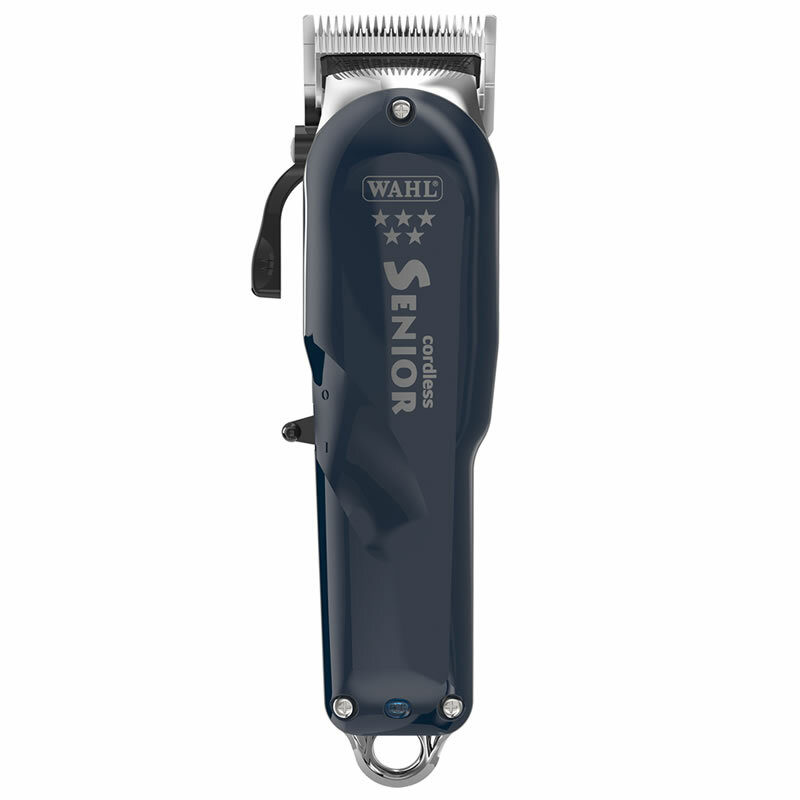 Case design stays true to the original Wahl Senior, retaining its classic looks and ergonomic shape that gives you comfort and precision control. 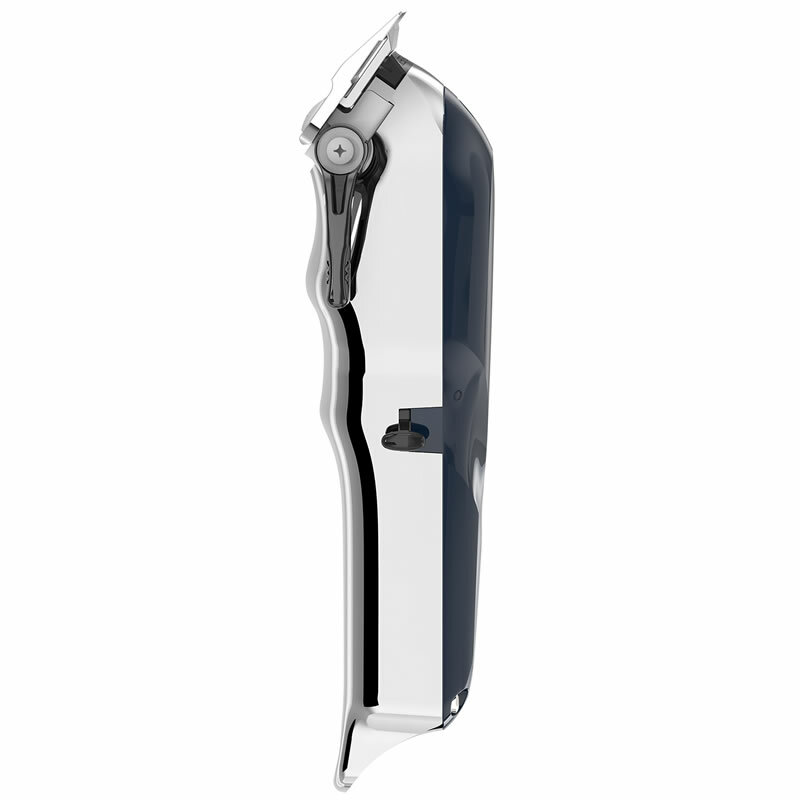 Its bottom housing is made from sturdy aluminium that'll withstand all the bumps of a busy barber's shop. 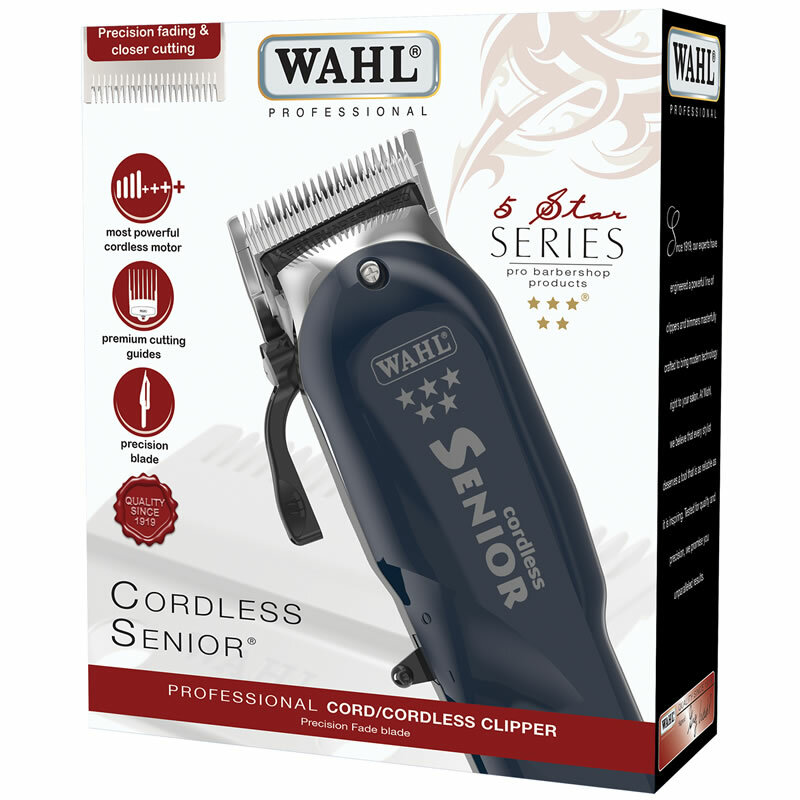 The Wahl 5-Star Cordless Senior is supplied with 10 of Wahl's super-tough premium cutting guides (#1-8, #½ & #1½), a flat top comb, blade guard and cleaning oil and brush. £149.99 (inc. VAT) Why no VAT? We're a trade wholesaler and quote our prices without VAT to help our VAT-registered customers understand the true cost of a purchase. Waxed canvas and real leather give a rustic, traditional look to this wash-bag-sized bag that's perfect for clippers and small kit when you need to travel light. Rugged construction for durability. 28 x 17 x 11.5 cm. Innovative hair grippers that make it simple to control hair for sharp fades, partings and more. Packs of 2 in 3 colours: Black with red logo, Black with white logo or Red with black logo. High quality fade brush with nylon and boar bristles that help to clearly define fade work and are gentle on sensitive scalps. Gently remove hair debris to identify any imperfections. Classy barber case in stylish faux-leather finish with velvet-lined, lift-out trays for rapid kit transfer to your workstation. Measures 40 (w) x 37 (h) x 15 (d) cm. Pump-action disinfectant that helps to resist bacteria, viruses and fungi. 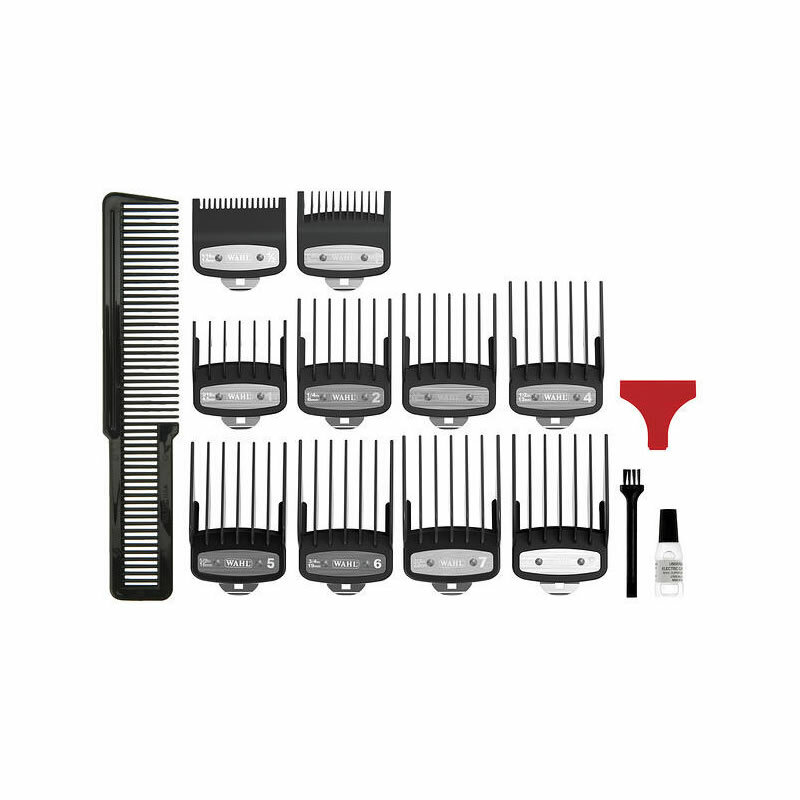 Tough plastic comb from clipper experts Wahl that makes it simple to create flat-top hair styles. Comes in 4 colours: Black, Green, White or Yellow. Black is available in 2 sizes: Large (205 mm) or Small (190 mm).